Sonic CD™ – Hedgehogs are NOT extinct! Saying Sonic the Hedgehog has achieved the same level of fame as Mickey Mouse is perhaps a bit of an overstatement, but he's certainly made his mark in the gaming world. 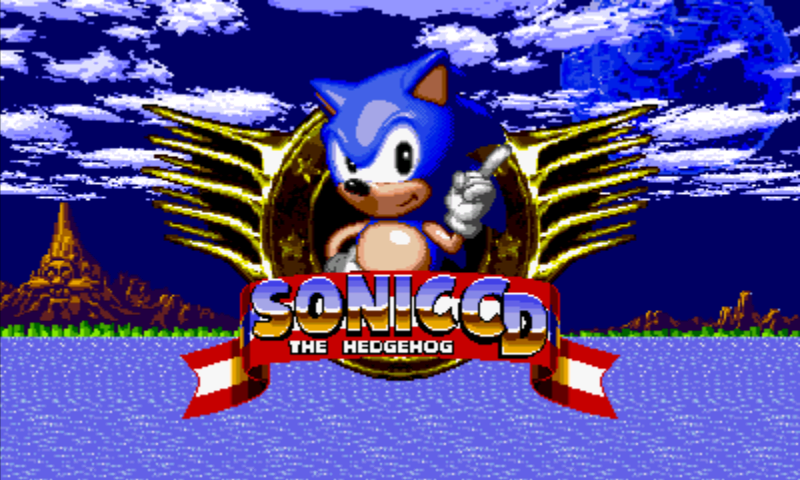 If you're a Sonic fan you will be pleased to hear that he's now available for Android in the form of Sonic CD™. More details in today's review. This hedgehog may be a senior citizen age-wise, but he's fast as ever. A lot of us played Sonic as childrens, some of us watched the animated series, and even those of you who aren't familiar with Sonic but enjoy retro games will soon learn to love the little dude. 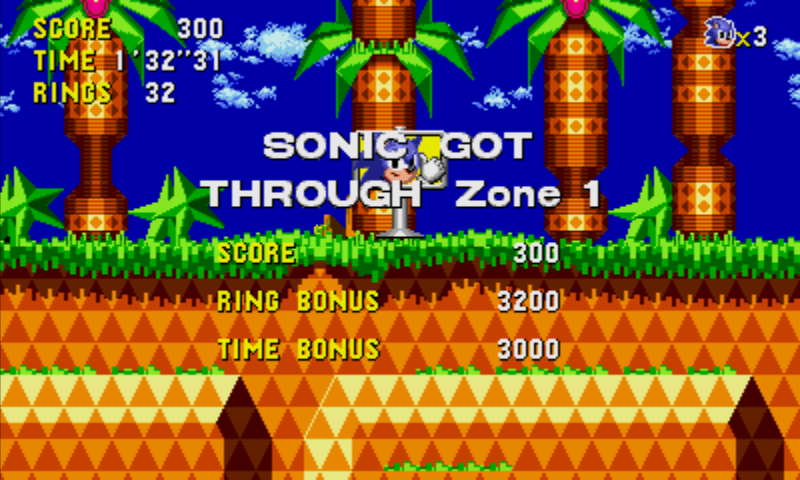 Once Sonic CD™ has been downloaded and additional 270 MB have to be downloaded, which took ages when we tested the app, despite a 32,000 connection. Once that's done, however, an awesome video narrating the Sonic story can be viewed. Sonic needs to make his way towards the distant Never lake. On Little Planet you will find the storied Time Stones that melt future, past and present and are thus very valuable. But Sonic isn't the only one on the prowl for Time Stones—Dr. Eggman is out to find them as well. In fact, he got there first and trapped all of Little Planet within a giant metal cage. As a result Sonic is on a mission through time to destroy his enemy's machines and in doing so save the planet. Levels should be completed as quickly as possible, but mind the rings which destroy scattered around each level. These rings will rake in more points and are good life insurance. Every time you collide with something or someone, the rings will disperse, but you can pick them up again for a brief period of time before they disappear completely. On the other, if you happen to collide with something but don't have any rings in your possession, you die. As far as graphics go, the app is very true to the original old school aesthetic: colourful and pixely. The same goes for the music: classic Sonic tune. The piece de resistance are clearly the controls, which consist of two virtual buttons and a virtual d-pad and action button that appears and is used when you want to jump. A few other actions are made possible by combining the direction and action buttons. Controls are easy and intuitive and – IMO – adapted for smartphone technology in a very smart way. Sonic CD™ is a great remake of a well-loved classic. This full version stays very true to the original, but clever solutions have been found to make it workable with contemporary technology. Sonic fans: jump for joy, the hedgehog is back! Two virtual buttons mimic the gamepad from days of yore—and they perform beautifully. Sonic CD™ is kept in nostalgic technicolour pixels, and the fact that a lot of love and time was put into the app's finishing touches is evident. 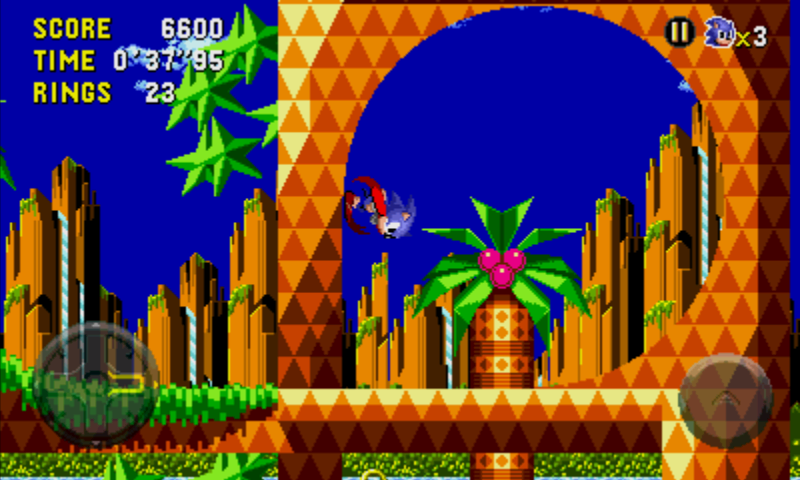 Sonic CD™ runs well, regardless of how much action is going down on screen. Sonic CD™ costs EUR 3,55 in the Play Store which is steep, but a fair price if you value a nicely done remake of a popular classic.